Even if the name Charles Martin “Chuck” Jones doesn’t sound familiar to you, his iconic cartoons and animation art are recognizable, and beloved, around the world. Chuck Jones (1912-2002) was the creative mind behind the enduringly popular cartoon characters Bugs Bunny and Daffy Duck, as well as Wile E. Coyote, the Road Runner, and Pepé Le Pew, among others. These characters continue to inspire nostalgia in the adults that remember watching them on Saturday mornings, as well as delight young audiences today. This month, the Museum of the Moving Image will present What’s Up, Doc? The Animation Art of Chuck Jones in a special presentation of the artist’s work that explores his creative genius and his pop culture and fine arts influences. 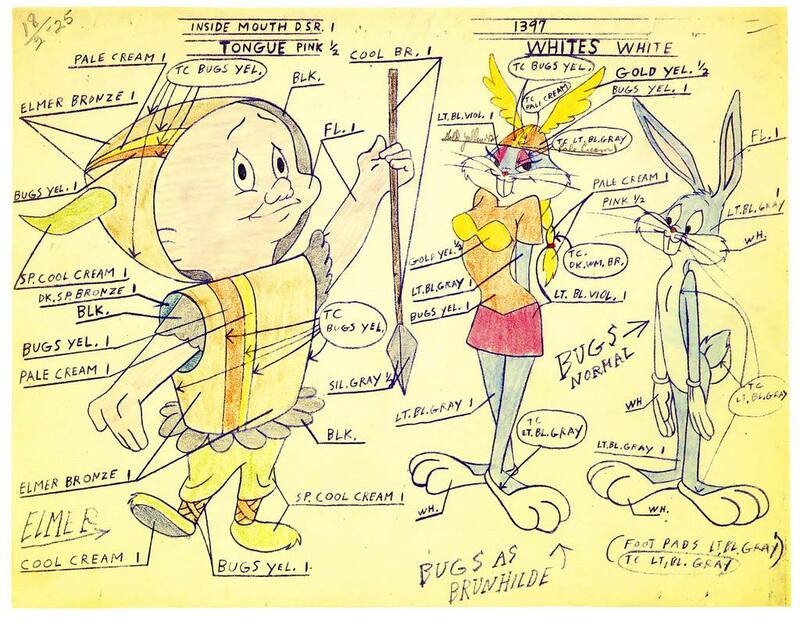 According to the Museum of the Moving Image, “The exhibition features 23 of Chuck Jones’s animated films, interactive experiences, and more than 125 original sketches and drawings, storyboards, production backgrounds, animation cels, and photographs, demonstrating how Jones and his collaborators worked together to create some of the greatest cartoons ever made,” of the expansive exhibition. The Animation of Chuck Jones celebrates Jones’s life and career, the latter of which spanned three decades. In that time, Jones directed more than 300 animated films, and was presented with an Academy Award for Lifetime Achievement. This particular exhibition is made possible by a partnership between the Smithsonian Institution Traveling Exhibition Service, the Academy of Motion Picture Arts and Sciences, the Chuck Jones Center for Creativity, and the Museum of the Moving Image, which is proud to present this incredible collection of contemporary artistic artifacts. Don’t miss out on The Animation Art of Chuck Jones, as well as all of the other incredible exhibitions the museum has to offer this summer! This entry was posted in art, Manhattan, NYC and tagged cartoon exhibition, Chuck Jones, Chuck Jones animation, Chuck Jones exhibition 2014, Chuck Jones Exhibition 2014 NYC, classic cartoons, classic pop illustrations, the Museum of the Moving Image, The Museum of the Moving Image Chuck Jones. Bookmark the permalink.